Kadenvale Don was a horse of dignity, kindness and majesty. 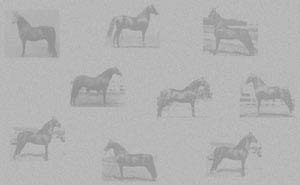 He achieved an enviable show record while still being used as a pleasure mount, for jumping, trail riding and even ski-jouring! 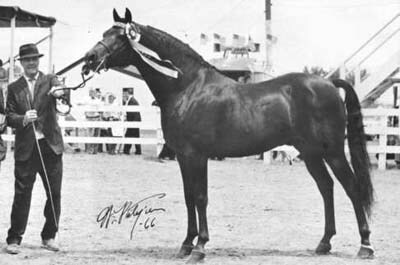 His accomplishments included 5 major victories at the 1966 Nationals, winning GCH Stallion honor over the prestigious Waseeka's Skylark. 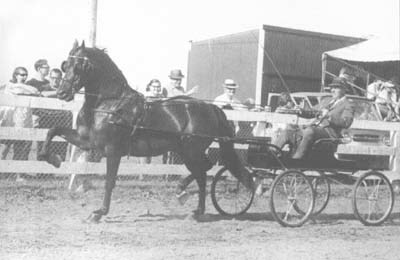 Kadenvale Don achieved real immortality in the breeding shed and is best remembered as a brooodmare sire. 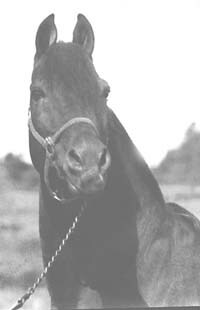 He stood at Fiddler's Green Farm siring 42 foals with that prefix. 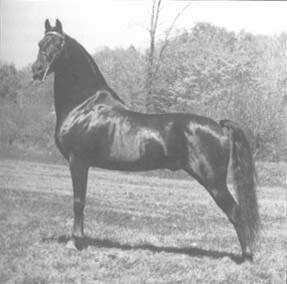 Among Kadenvale Don's well known offspring are Fiddler's Chantilly, dam of Fiddler's FirstComand, High Meadows Katie, dam of Honor Command, Iamma Command and Wynne Command, and the remarkable Fiddler's Majesta, dam of Tug Hill Whammuntition and Tug Hill Commando.